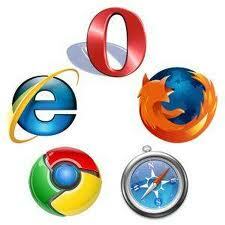 The o nce mighty Internet Explorer, which enjoyed 87% of the market share has dropped to 20% in January 2012. While Chrome and Firefox are fighting for the lead. Firefox at its peak held 48% of the market since July of 2009. That year Chrome only had 6.5% of the market. Now, Firefox’s followers have dropped to 37%, while Chrome soars to 35%, making it the fastest growing browser. For updated Browser Statistics and Trends, click here. Wiki Leaks is every government’s nightmare. Never in the history of the USA has there been such a threat greater than the release of so much information that this might be the turning point of the American empire. The threat of terrorism by Al Qaeda, while great, is no match than the threat of file sharing of confidential information. Wiki leaks.org is a website that discloses confidential government files from various cables (such as the ‘U.S. Department of Defense ‘) that are vital to the integrity of the US. Yet somehow they were obtained, uploaded, and then swarmed around the world like a virus. I doubt the US ever saw it coming. Which leads one to wonder if old minds are running the show in Washington DC. While I don’t condone the release and distribution of Top Secret government files that endanger Americans, how could the government not secure these files from the Internet? File sharing is not new. We had Napster in the 1990s that devastated the once powerful music industry. Because of Napster, record companies have fallen from grace and music artists are left to fend for themselves. Digital versions of movies and TV shows have been distributed online before a scheduled release. I remember back in 1999, when the world was eagerly waiting for the release of Star Wars: The Phantom Menace. The digitized version of the movie was circulated online before its scheduled release. So what about document files? The American government should have learned from the music and film industries when files were shared as far back as the mid-1990s. Today computers, servers, and bandwidth have grown stronger, faster, and more available then ever before. In order for someone to steal documents electronically the documents themselves had to have been stored on a server….unsecured! What were sensitive and top secret documents were doing in a server connected to the internet? By 2007 Wiki Leaks has amassed over 1.2 million documents from ‘various’ sources. Perhaps these sources were disgruntled government employees or news groups. Wiki Leaks is being held liable not for obtaining these documents, but making them available for the world to see. Until now, leaking documents was not always considered a crime. In fact, it was heroic. Without leaks we would not hear about the atrocities around the world especially in nations with controlled press. Wiki Leak founder, Julian Assange, is a hero in Kenya for reporting about secret police killings of private citizens. He was awarded the Amnesty International UK Media Award for this work known as, “Kenya: The Cry of Blood – Extra Judicial Killings and Disappearances.” Russia went as far as recommending Assange for the noble peace prize for leaking sensitive documents from the US Department of Defense. However, Assange and crew attacked the US, a nation that must justify the logic behind three unpopular military engagements (Afghanistan, Iraq, and Pakistan) and on the verge of the fourth (North Korea). Some of the contents disclosed within these documents show that arrogance and greed served a bigger purpose behind the wars than security. It also showed disrespect by US politicians for making disparaging remarks about foreign politicians from nations they consider allies. This is unfortunate since the US has to rebuild its reputation as a peace-loving nation protecting it’s the very allies who leaders they are disparaging. Assange is a villain to the American government, but a hero to millions worldwide. There are millions worldwide who would love to see America’s downfall from world prominence. While the US has shut down the Wiki leaks website (for now), it will be challenged to prevent files from traveling through various servers and into countless number of computers worldwide. To say these files are in the wrong hands is a gross understatement. As are the wars it is fighting and terrorist attacks it has endured, the Wikileaks disaster could have been prevented.